Most people who know Phil Madeira know him as one of the most seasoned players in Nashville. Since his arrival in 1983, Madeira has seen success in a plethora of different ways. He has quietly released five solo critically-acclaimed records and has shared the stage with Neil Young, Sheryl Crow, Leon Russell, and Jack White. 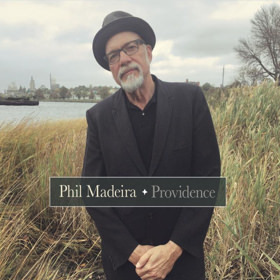 If you can think of it, Phil Madeira has probably lived it; but that’s what most people don’t know about Phil Madeira – his own story – and he’s finally ready to tell it.Released on April 6, Providence is a rare look at the man behind the music, a chance for listeners to get to know Madeira’s own stories, after having spent decades helping other songwriters and musicians tell theirs. Click here to read Madeira’s interview with Rolling Stone Country + watch the video for “Gothenburg,” a song that celebrates his family’s immigrant experience. 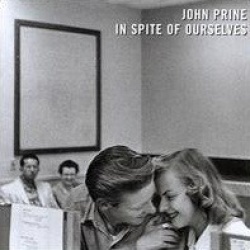 Comprised of 10 songs, Providence gives listeners a closer look at Madeira’s life and the inner conflict of being raised in New England, yet feeling an undeniable attraction to the music of the South, “It’s an album full of love songs to where I’m from and where I’ve come to.” Songs like “Rich Man’s Town” reflect on his childhood in Barrington, a suburb of Providence, Rhode Island. Others, like “Dearest Companion” with the words “We’re Dixon and Mason, lost in translation. If love ain’t frustration, I don’t know what is,” make the connection between where he was raised and Nashville, his home of over 30 years. Independently produced, the album is a complete change from anything he’s ever done, “I don’t know what happened, but I fell in love with piano again.” The record straddles his iconic Americana style and jazz, more specifically, a sixties jazz piano style. Made at Nashville’s Sound Emporium Studios, the live album features “three quarters” of The Red Dirt Boys, with Chris Donahue on bass, Brian Owens on drums, and Madeira providing lead vocals and piano. Will Kimbrough (also a Red Dirt Boy) lends guitar work on one songs, and jazz icon John Scofield adds guitar to another. Touches of brass and reeds round out the sound, but it all hinges on the trio of Madeira, Donohue, and Owens. 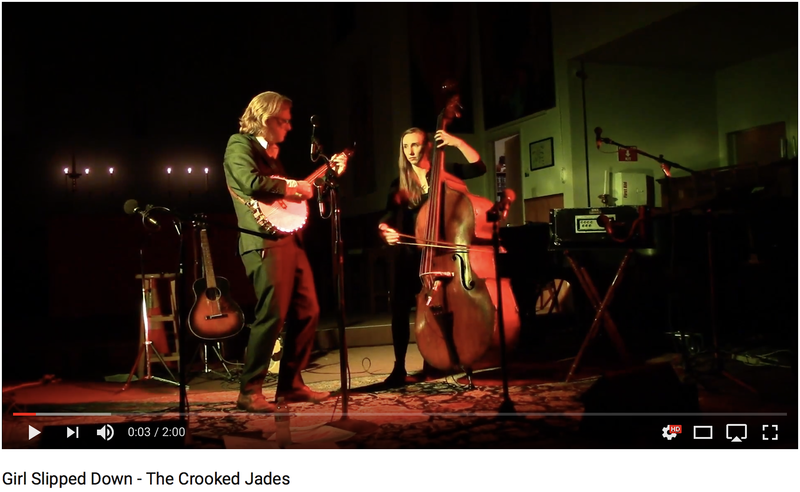 In 2008, Madeira joined Emmylou’s famed band “The Red Dirt Boys”, a group with alumnus like Ricky Skaggs, Sam Bush, Al Perkins, and Buddy Miller himself. During the first campaign for Barack Obama, he became disheartened with the political climate and approached Emmylou with an idea. “I went to Emmylou and said, “You know? I want to do kind of a Gospel record. I want to do a record that says God loves everybody.” Shortly after, the two began working on what would become Mercyland: Hymns for the Rest of Us. The critically-acclaimed album, released in 2012, featured an all-star track listing – beginning with The Civil Wars’ “From This Valley”. 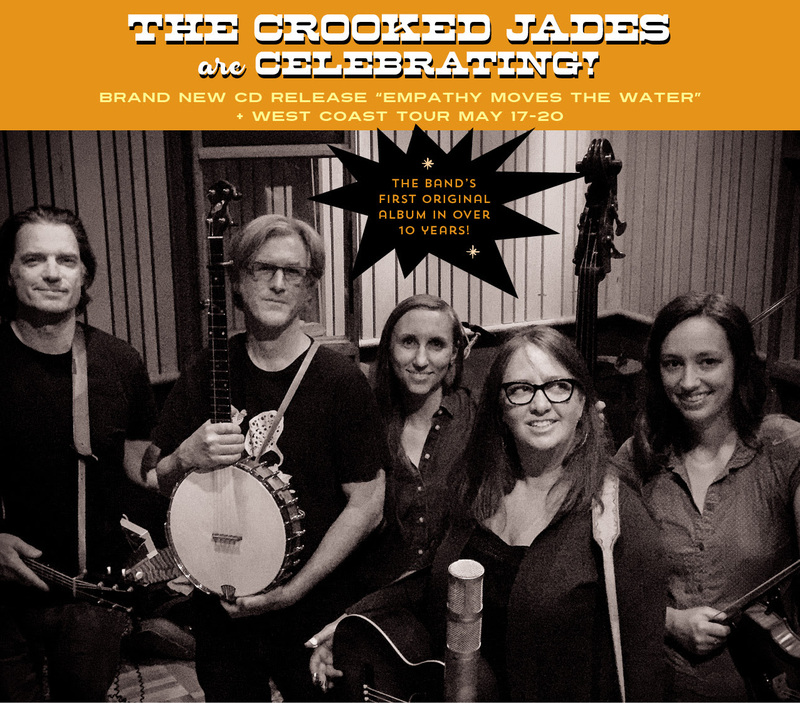 The album featured songs from the likes of Shawn Mullins, Buddy Miller, Carolina Chocolate Drops, Mat Kearney, Amy Stroup, John Scofield, Emmylou, and Madeira himself. 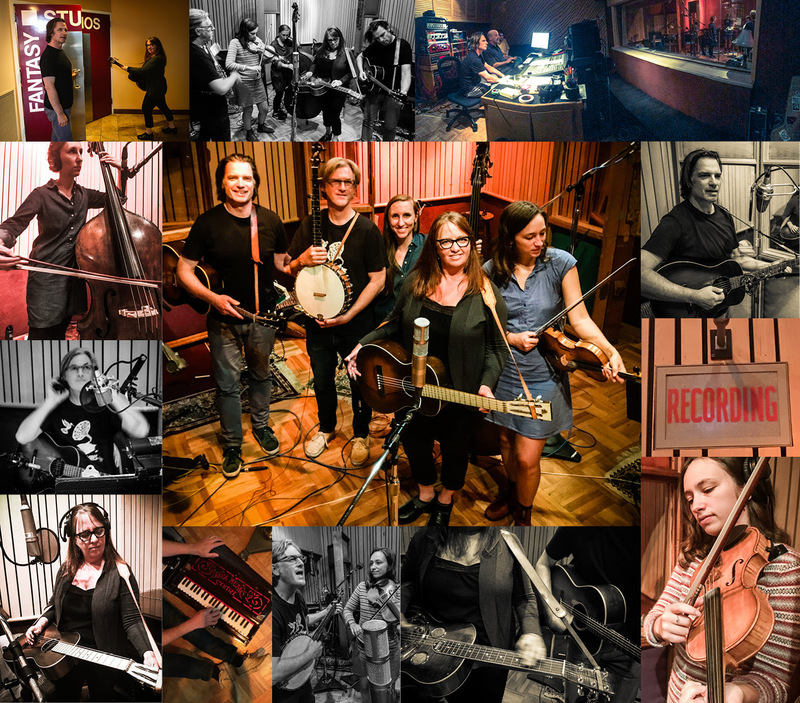 The same year, the Americana Association asked Madeira to perform Mercyland at the legendary Downtown Presbyterian Church, as part of the AmericanaFest. A second volume was released in January 2016, that included Americana staples Will Kimborough, The Wood Brothers, John Paul White, and The McCrary Sisters; as well as newcomers like The Lone Bellow and Humming People, among others. The title cut, “Daddy’s Coal,” is timeless and startling in its profundity. 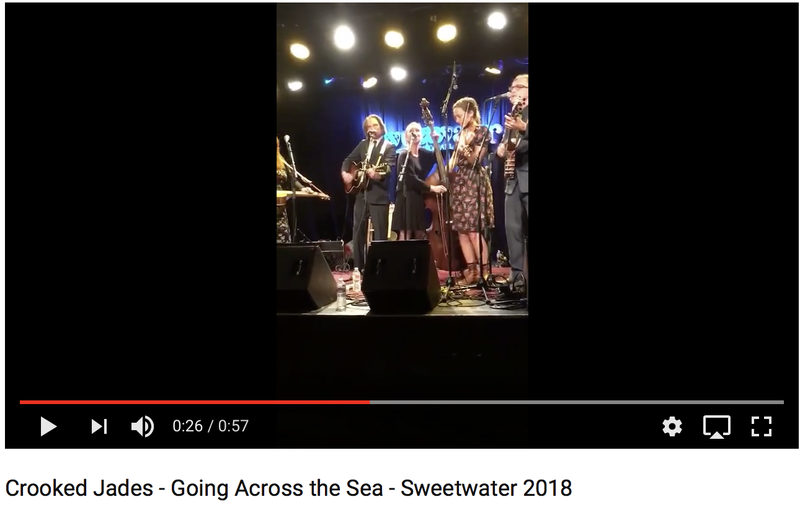 Betty’s and Hal’s (Ketchum) vocals soar effortlessly and majestically above a lyrical but sparse acoustic bed (Betty’s guitar, John Hagen’s cello), in the same way the symbolic eagle of her song soars “upon the wind”. This song is as much a triumphant testimonial to a child’s love for parent as it is a memorial to innocence lost by an entire Viet Nam War generation. The memory of such loss is simply and tenderly expressed in both the title cut and the traditional, “A Drifter’s Prayer” — perfect portrait of a loss of faith. A soul with its tether cut. The prophetic “Jericho” expounds on the lack of virtue displayed by TV evangelism, and the anthemic “Pilgrim” close the too-short collection, proving once again that one can indeed make much with little. Cover concept and jacket photographs: Betty and her dad, Charlie Pruett, Jr.
She always knew she would be an artist. Her love of music, melody and words began longer ago than she can now remember. The relentless stirring of the mortal soul, “Rock of Ages, cleft for me…” left an indelible imprint on her music. That hymn, her first musical memory, would shape her future. Born in Greensboro, North Carolina, of Scottish descent, Betty began playing piano at the age of Four, and by age six had already begun to compose melodies. She loved hymns. She loved the rhythm of poetry, especially the words of Robert Louis Stevenson, Carl Sandburg and Robert Frost. By age ten, she had written several of her own. One, “Snow,” would be honored by the faculty of the University of North Carolina at Greensboro, in 1961. Betty studied ballet and taught herself to play guitar by listening to records. At fourteen she formed a folk trio with two girlfriends. Just Us, and they played at talent shows and cafes, displaying an eclectic musical repertoire and love of vocal harmonies. In the wake of the arrival of the Beatles and the sounds of the British invasion, Betty played drums for a year in an all-girl Beatles cover band. Soon more dynamic rhythms and melodies caught her ears, in the music of Sam Cooke, Jackie Wilson, Jackie DeShannon, and James Brown. Summers were spent at her aunt and uncle’s farm in Woodlawn, Virginia. There Betty added to her influences the lilting harmonies loved by her uncle; the memorable refrains of Ralph Staniey, The Clinch Mountain Boys and, of course, Bill Monroe and the Bluegrass Boys. Once again. her love of yearning melodies and harmonic voices was rekindled. Later, the folk artists of the sixties and seventies expressed yearning with a social and political conscience, leading Betty in another direction. One of Betty’s “favorite first songs I ever learned to fingerpick on guitar” was Bob Dylan’s “Don’t Think Twice, It’s All Right.” It will still occasionally surface on her set list, when homage is being paid to those influences which artfully combine great poetry with great music. From birth until she recorded her first album of original songs, After the Curtain, in 1981, Betty Elders’ music had been shaped by all she beheld. In its diversity one may clearly see her love of that music which speaks to the soul’s struggles, its yearnings, from the early influence of church hymns to popular music, to an education in the brilliant blues of Gershwin’s melancholy, the vast expansive scores of Aaron Copeland and Ferde Grofe, and the exquisite marriage of rhythm and melody in the orchestrations of Maurice Jarre. Betty still claims Jarre’s score for the movie. “Thee Comancheros.” to be among her favorite film scores of all time. Betty settled in Austin, Texas, in 1984. 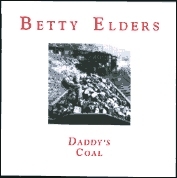 Her self-produced release Daddy’s Coal was issued on her own Whistling Pig Music label in 1989, and earned her several year-end awards from Austin’s Music City Texas Insider: Best Independent Tape, Song of the Year (shared by two of Betty’s songs), Best Female Vocalist and Best Female Songwriter. The release of Peaceful Existence, issued in 1993 on Whistling Pig, resulted in another round of awards from the Insider’s poll and the Austin Chronicle’s Music Poll. It also attracted a degree of critical acclaim truly unusual for a release on an artist’s own label. 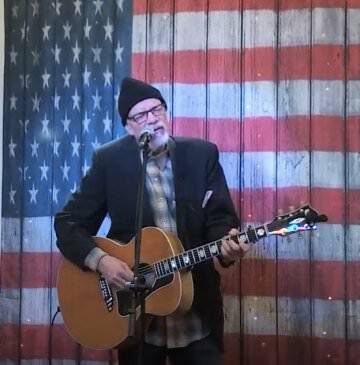 Reviews in Detroit’s Metro Times, Detroit Free Press, Austin Chronicle, Performing Songwriter, Richmond Times Dispatch Dirty Linen, Folk Roots and many other publications range in tone from laudatory to reverential. Dave Goodrich of the Pittsburgh Post Gazette named Peaceful Existence one of the five best releases of the decade. She’s been a featured artist in six standing-room-only showcases in the internationally renowned South-by-Southwest Music and Media Conference 1989-1994. Meanwhile, she co-authored “He Never Got Enough Love” on Lucinda Williams’ critically acclaimed 1992 release, Sweet Old World. Highlights of the 1994 season include her performance on National Public Radio’s “Mountain Stage program Jan. 9; a successful tour of the Northeastern U.S. in July; the release of Daddy’s Coal on CD; and her enthusiastically received performance on the Main Stage at the 1994 Kerrville Folk Festival. Betty’s songs and her sweet, haunting voice call forth the spirit of Appalachia combined with a keen vision and revealing honesty about what really matters. Betty is a favorite of mine and deserves to be heard! It is and has been to me for some time a source of amazement that an artist of Betty’s caliber has not been recognized yet on a national level. Maybe this will be the album that slaps some heads. Her music will touch your soul. From deep inside the genuine person she is, Betty Elders’ songs speak through the pain and happiness of all the moments. Just simply being–and carrying on. I hope she always does. Edgelarks fly in on the tailwind of BBC award winning duo Phillip Henry and Hannah Martin. The new band name comes with anew project, taking the roots of their previous work – British traditional musics, Indian classical slide guitar, stomping roots beatbox harmonica party; adds a strong stem of original writing; and runs wilder with each gig. This album is about transitional spaces. Liminal places, people and times, the straddling of boundaries and thresholds; crossroads and borderlands; travellers and refugees; dusk and dawn. The pause between an old way and a new. The idea that, despite often being places of marginalisation, these are also places of change – and therefore places of hope. That, when social norms break down, when you are between two established worlds, there is a chance for new perspectives. That in the end, we have far more in common than things that divide us, because we are all liminal – we are all standing on the threshold of tomorrow. We are all just passing through. Recorded May 2017 at Cube Recording, Cornwall. Produced by Phillip Henry and John Elliott. Engineered, mixed and mastered by Gareth Young. All lyrics by Hannah Martin, all music by Martin / Henry, except What’s The Life of a Man? and Estren, trad. arr. Martin / Henry. Photography and sleeve design by Elly Lucas. ‘I’ve just recorded an album with an American band,’ said Olivia Chaney, introducing a new song on her support slot for Shirley Collins at the Barbicanearlier this year. I remember hearing that remark and thinking it’ll be interesting to hear her in a band context with some transatlantic backing. What I didn’t expect (although it would be entirely possible to work it out) was that she’d just recorded an album with The Decemberists. In case you don’t know, they are a very popular Grammy-nominated American indie rock band from Portland, Oregon. They’ve recorded seven acclaimed albums including 2011’s The King Is Dead – which reached No. 1 in the U.S. Billboard 200 chart. Her debut album from 2015, The Longest River is a masterpiece, lauded by FRUK’s David Kidman as ‘eminently treasurable’, and receiving rave reviews in The Independent and The Guardian, alongside many others. So Chaney is definitely not an unequal partner here, albeit an emerging rather than an established artist. The fact that Meloy knew about No Roses by Shirley Collins and the Albion Dance Bandin the first place gives you an indication of his (and the band’s) deep love for British folk rock. And that he saw Chaney in the same mould as Collins demonstrates his appreciation of her as a major talent. The offer came good and so good. The resulting collaboration The Queen of Hearts is a towering, majestic work. It is effortlessly confident, an album that shifts from pleasure to pleasure – a consistent collection superbly arranged and played. Produced and recorded by Tucker Martine (Modest Mouse, My Morning Jacket, Neko Case) alongside Colin Meloy, it is at turns a nostalgic nod to the great British folk-rock albums of the late 60s and 70s but equally assured in a fresh, contemporary way. The material is largely traditional, and much of it familiar to folk audiences. The Queen of Hearts, which opens the album, was learnt from Martin Carthy and versions have been recently recorded by The Unthanks and Josienne Clarke and Ben Walker. Willie o’Winsbury is about as familiar as it gets – only last year Jim Moray offered his own beguiling version, William of Barbary. So you might wonder if we need more interpretations of these trad songs. But they are sung so beautifully by Chaney, and The Decemberists bring fresh life to these age-old tales that familiarity is never an issue. And what’s great is that (hopefully) these songs will get a much wider airing and appreciation because of their inclusion here. And it’s not just ballads that get The Decemberists treatment, a set of Morris tunes, Constant Billy (Oddington) / I’ll Go Enlist (Sherborne), has been deftly arranged by The Decemberists’ accordionist Jenny Conlee. True to their word, they sound like Prospect Before Us-vintage Albion Band. 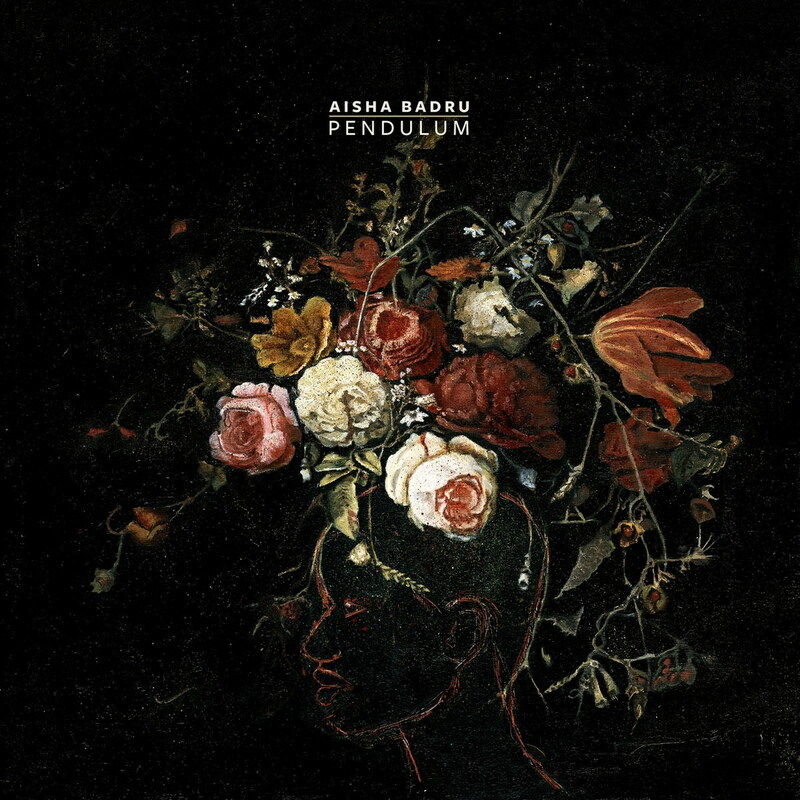 It’s two minutes of absolute, unexpected bliss. The album is firmly in the rock end of folk often with electric guitar, drums, bass and hammond organ backing, augmented by harpsichord, accordion and violin. Sheepcrook and Black Dog positively rocks with fuzzy electric guitar a la Zeppelin’s No Quarter over which Chaney soars like Trembling Bell’s Lavinia Blackwell. Sheepcrook pushes the band into wyrd new realms, sounding like psychedelic folk legends The Trees. The song segues into To Make You Stay making an eight-and-a-half minute psych-folk epic. Colin takes the lead vocals on this, the final track, a cover of the Lal Watersonmasterpiece from the album Bright Phoebus. And Colin is clearly having a blast singing this obscure but brilliant song. He also takes the lead on Blackleg Miner which owes much to the Steeley Span version but sounding much fresher and more upbeat here. Another cover is a heart-stopping The First Time Ever I Saw Your Face sung by Chaney, which lays the ghost of the Roberta Flack-emoted version, with hints of the traditional Cruel Mother taking Ewan McColl’s standard back to its folk roots. I really hope that this album is taken to heart by long-term folk fans on this side of the Atlantic because it’s nothing short of a love letter to the music and traditions we adore. The performances are passionate rather than studious, rawkus rather than reverential. In his acclaimed account of his life in the music industry, White Bicycles: Making Music in the 1960s, Boyd writes, ‘Why does England hate its own folk music?… In England, the mere thought of a morris dance team or an unaccompanied ballad singer send most natives running for cover.’ It’s an attitude I’m sure FRUK readers and listeners are only too familiar with, although it’s unlikely to be a perspective we share! That thought might explain the alchemy of Offa Rex. Chaney is undoubtedly one of the freshest and most exciting talents of the British folk scene, but teamed up with The Decemberists might just mean this music goes mainstream (please!). Anyone who’s seen or heard her knows that Chaney is cool, and I don’t believe that The Decemberists are on a mission to make British folk cool. I think they had no idea it wasn’t ‘cool’ in the first place.